Our release for this month is now online! A brand new pack of five Desteria Knights which you can use in Patrol Angis to break up stubborn resistance. We now have more than twenty different Desteria for you to choose from. 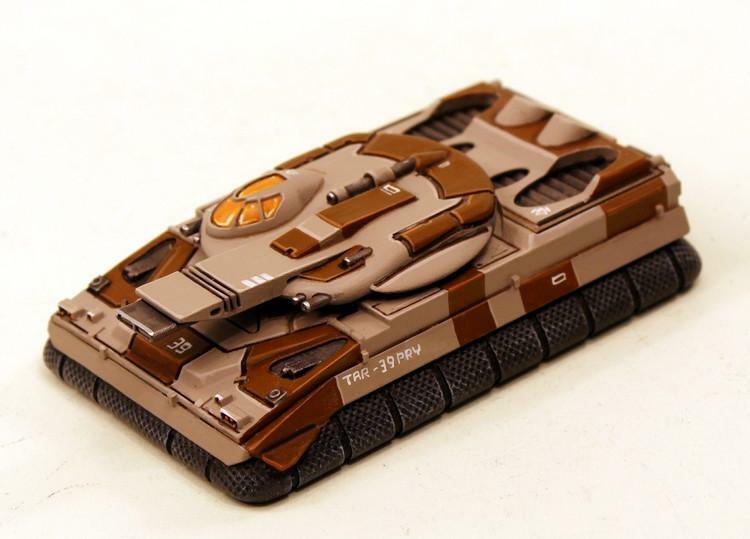 Remember this month we have taken 15% off every single Taranis Main Battle Tank which ends 1st March. Go HERE or read on for more. 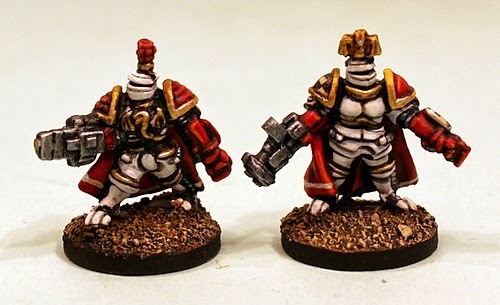 Desteria miniatures are bigger than normal and are 24mm in height on average compared to a Retained at 18mm tall. This new code contains five different white metal 15mm scale miniatures the close combat specialists of the super heavy knights of the Ion Age. All are wearing MkII Noblesse powered armour. 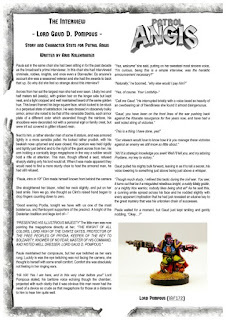 Armed with Octa powered sword or Roaz powered axe as well as Valerin Laser Rifles and Hermit Plasma Rifles. Each miniature is very detailed and features a crest upon its head. As with all our miniatures you can choose a pack or three packs with a saving or single poses from the pack. Go HERE. 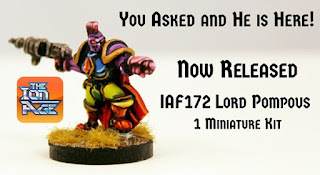 This code contains one 15mm scale white metal miniature in kit form composed of a body with two separate heads. Dressed in customised and adorned Noblesse super heavy powered armour and cloak Lord Pompous is armed with a Moth Type 12 Multi Launcher. Heads are supplied in helm (as shown) and bare headed giving a choice of build. Refer to the free article for Not supplied with a base (shown on a 20mm round base) and supplied unassembled and unpainted. 2.00GBP Go HERE. Enjoy a tale set in The Ion Age a free article by our good friend Aris Kolehmainen. An interview with a hero of the Desteria Knights who is not quite what he seems. 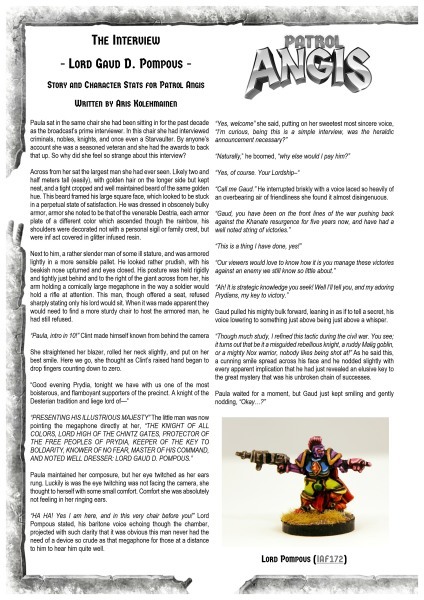 A fine read and it is followed by game statistics for using the character of Lord Pompous in your games. Click HERE to download this free four page article from our website. The Interview contains a first person story as well as game rules. 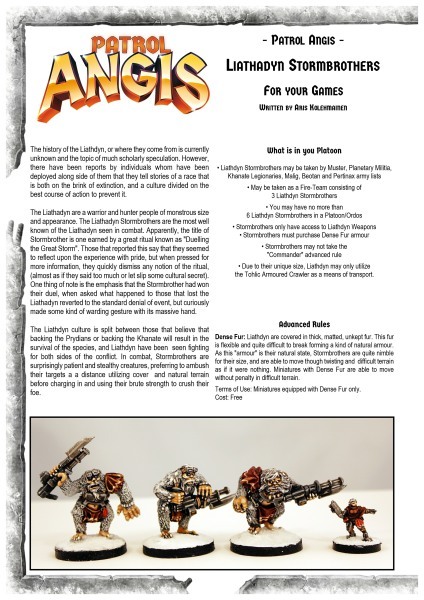 Alpha Perfect to lead your Desteria Knights into the fray we present lance command. 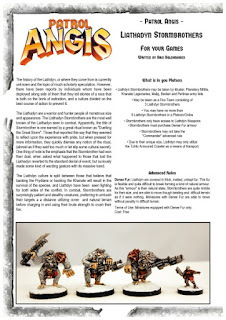 This code contains five different white metal 15mm scale poses all wearing MkII Noblesse powered armour. 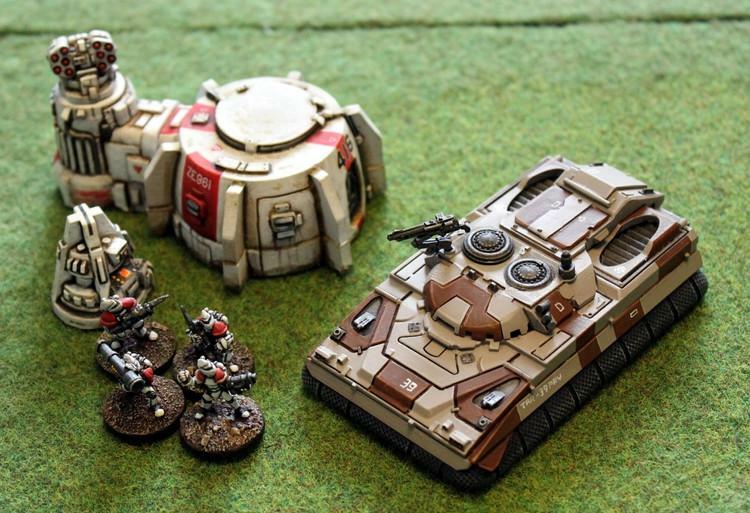 From left to right these are an officer with Valerin Laser Rifle and Pelleas powered Mace, communications specialist, medic with equipment, banner bearer with staff and Valerin Laser Rifle and lastly a casualty of a Desteria Knight laying face up. Each miniature is very detailed and features a crest upon its head. Go HERE. Bring forth the Desteria and bleed the enemy! This pack contains two large new white metal poses of 15mm character nobles in Noblesse super heavy powered armour. Baron Aldo Murdo armed with an Impact Fist and Sequence Particle Beamer in cloak and Baroness Lillian Galaine with Impact Fist and Hermit Plasma Rifle in cloak. Great for leading your Demis or Posts of Desteria (IAF009, IAF010) into battle or for leading entire forces in The Ion Age. Go HERE. The super heavy infantry of the Prydian Precinct now have some backup following code IAF009 Desteria Demi Alpha two weeks ago. Wearing the thickest Noblesse powered armour and carrying the largest possible weapons that do not require an artillery or vehicle mount the Desteria are used for tasks just too tough for Retained Knights and the Muster. 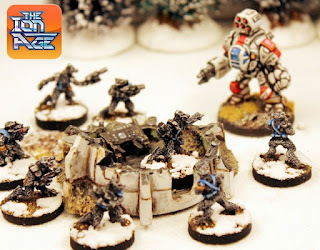 Code IA010 contains five brand new different white metal poses each with an Impact Fist (powered melee weapon) and either a Hermit 44mm Plasma Rifle or an Urgan 2 Bore auto-shotgun or a Valerin 9kw Laser Rifle. Each Desteria also sports a crest upon their helm. Go HERE. 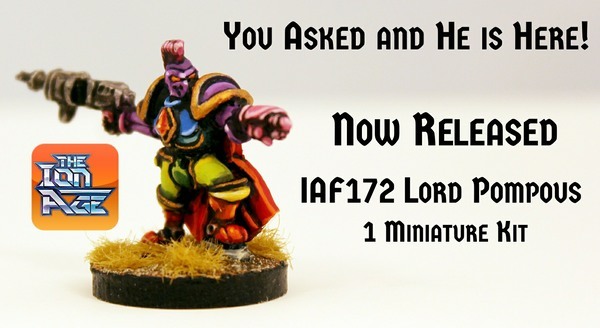 This week we have the first in an expansion of the original 28mm range into the brand new 15mm range on the Ion Age...Desteria Knights! 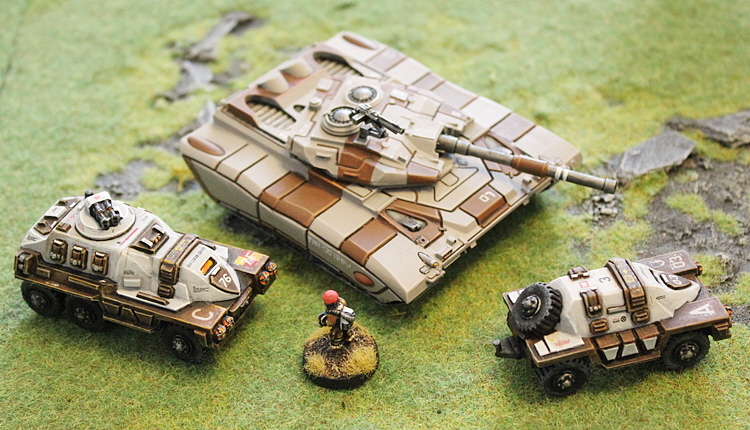 The super heavy infantry of the Prydian Precinct are now in the 15mm Prydian Army as well as the 28mm Prydian Army. Wearing the thickest Noblesse powered armour and carrying the largest possible weapons that do not require an artillery or vehicle mount the Desteria are used for tasks just too tough for Retained Knights and the Muster. Code IAF009 contains five different white metal poses each with an Impact Fist (powered melee weapon) and either a Hermit 44mm Plasma Rifle or an Urgan 2 Bore auto-shotgun or a Valerin 9kw Laser Rifle. Each Desteria also sports a crest upon their helm. Go HERE. 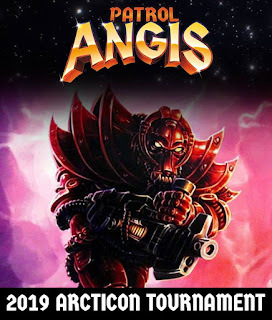 We have many FREE DOWNLOADS on our website as well as our great 15mm scale tabletop game called Patrol Angis which you can see HERE as a game pack and print books plus digital downloads of the books too. Remember you get Reward Points on every order you place with us added to your account on the website (you must have an account on the website setting it up first time you use it...which includes a welcome gift of 100 Points!) and these can be used to gain discounts and free items on any future order at any time. Millions of points earned and spent with us so far! 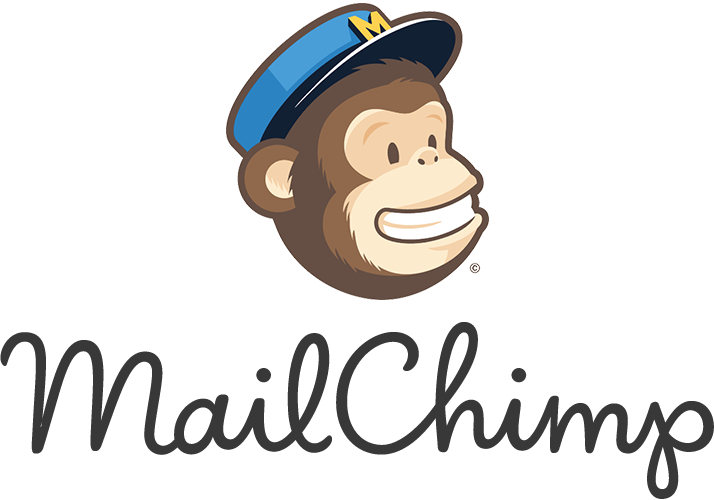 Join our Mailchimp email listing for all the news sent to your chosen inbox. Don't miss out on new releases, free stuff and offers. On our blog to the top right corner you will see the sign up form. Just fill it in and you are in! We have a huge selection of 15mm scale space opera science fiction miniatures and each of our packs contains only one of each pose of figure plus you can select any miniature from any pack as a single or buy three packs and save 10% on screen. Just click on the white box on each product page for all the options. 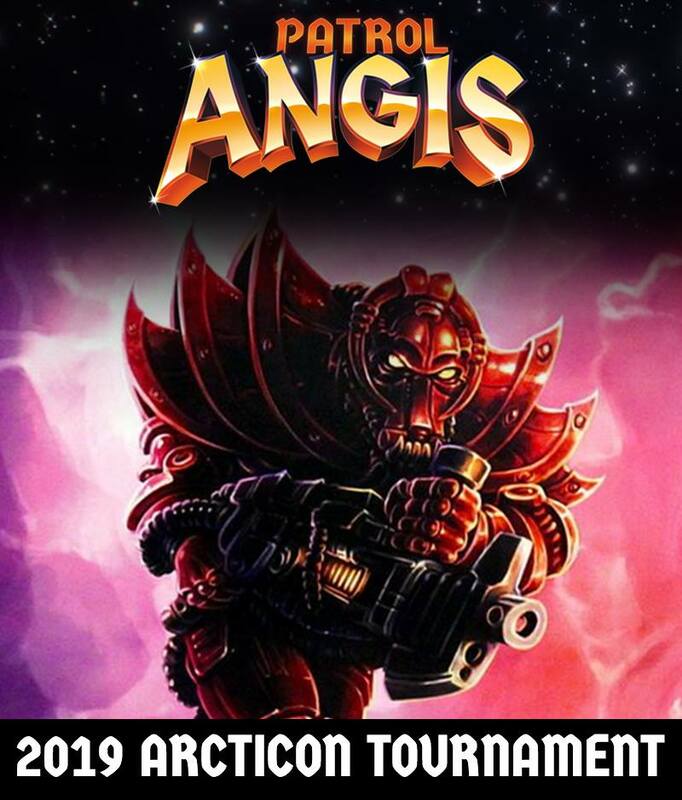 It is my pleasure to announce that real soon the 2019 one day convention call Arcticon will occur once more and that The Ion Age will feature there! 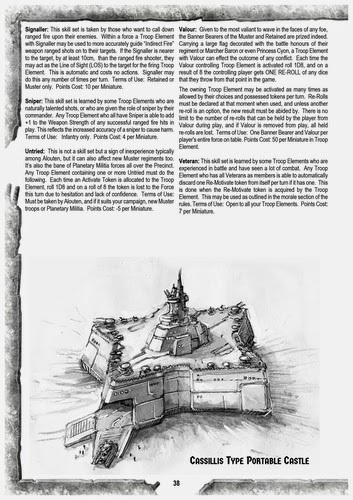 For this year's force building rules, and scenario details, Download them HERE courtesy of the organisers. There will be some surprises on the day including a specially created diorama and an actual Portable Castle in play on the table. These are top secret just now but I hope after the event to be able to share some pictures and an account of the day. Thanks for reading and if you have any questions just contact us on info@theionage.com and I will do my best to assist you. The short month is here! 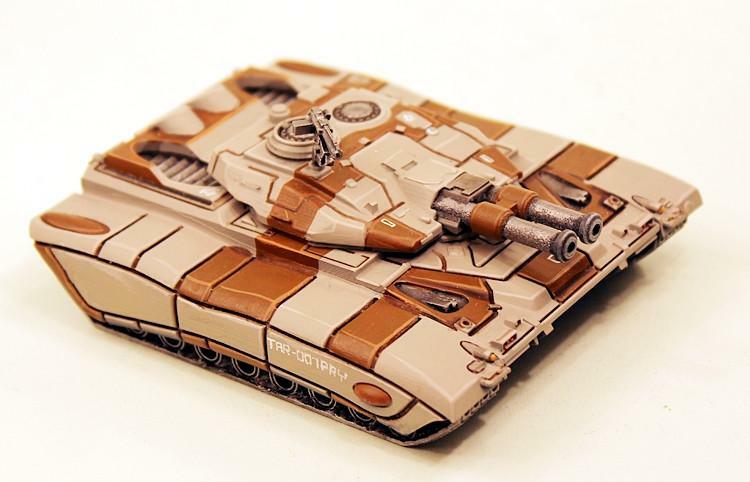 We have a new release in a couple of weeks but now, after feedback from 15mm gamers, we are delighted to announce that this time our month long deal is 15% off all twenty eight different Taranis Main Battle Tanks! 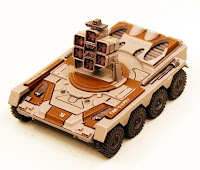 Tracked, Wheeled, Lifter (Hover) and Replusar (Anti-Gravity) propulsion methods in command, siege, missile support, main gun, laser and fusion turret types as well as APC variants. 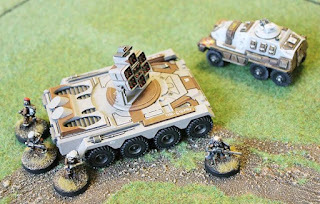 Designed by the legendary Bob Naismith these big beasts (most are about 90mm long and 50mm wide) are great for any setting. Go HERE or read on for more. The discount is on screen already and offer ends 1st March 2019. We require that you have an account with the website when you place your first order. Not for any marketing reasons but simply so that you can get your Reward Points set up and get an initial gift of 100 points too. These points when accumulated can be traded in on orders for discounts (on top of any discounts shown on the site!) or special models. 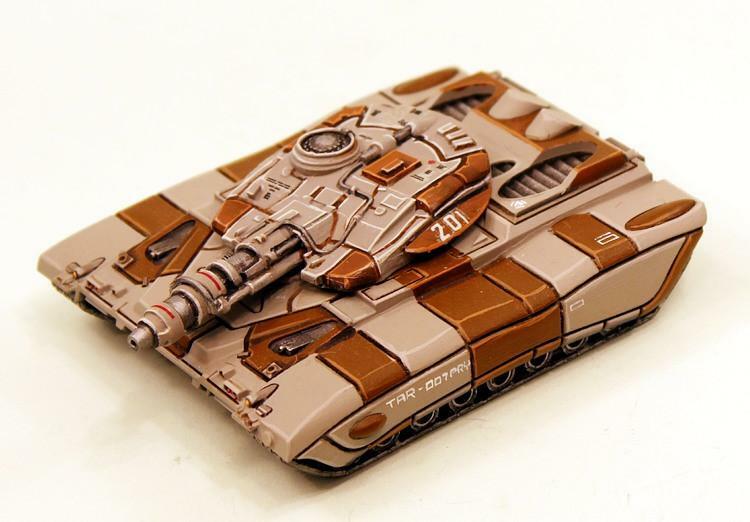 Thus far we have honoured more than one million points redeemed and if you have points stored up then do use them to save more on the Taranis tanks this month if you want! 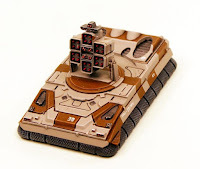 Tracked Taranis are typically composed of six resin and white metal pieces which are the upper hull, the lower hull, right and left tracks sections, turret as well as the sponson gun in white metal. 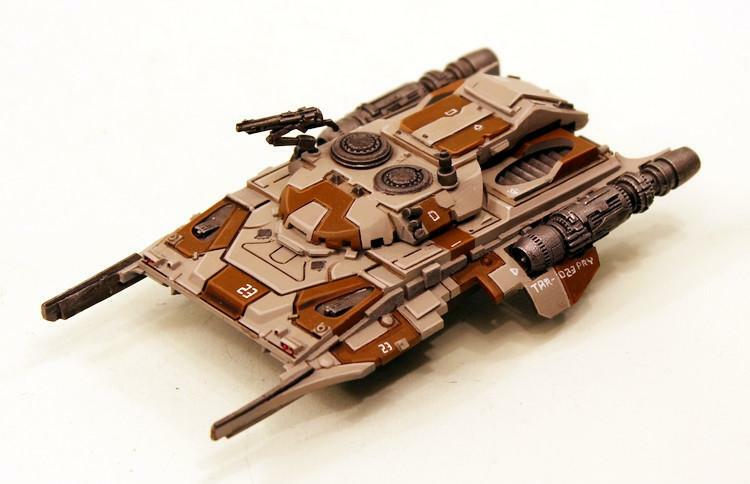 It is easy to assemble and is designed to be used for wargaming and thus it is very durable. 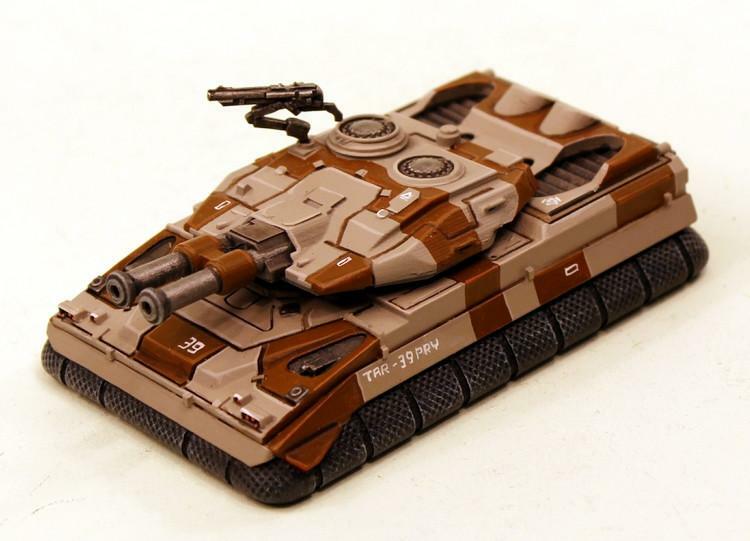 Assembled theses vehicle are just over 90mm long and 60mm wide making it a super heavy main battle tank in any 15mm scale force. 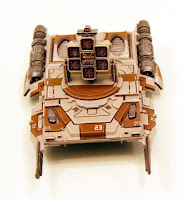 Read on our BLOG about tracked Taranis. IAF100A Taranis Tracked MBT Cannon Turret. 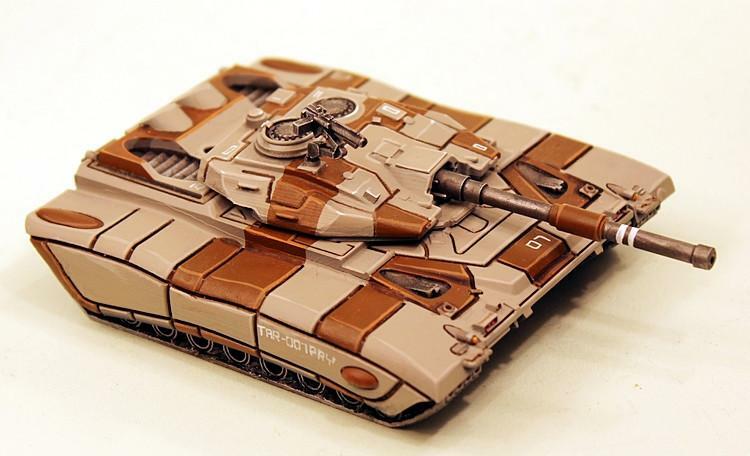 IAF100B Taranis Tracked MBT Command Turret. 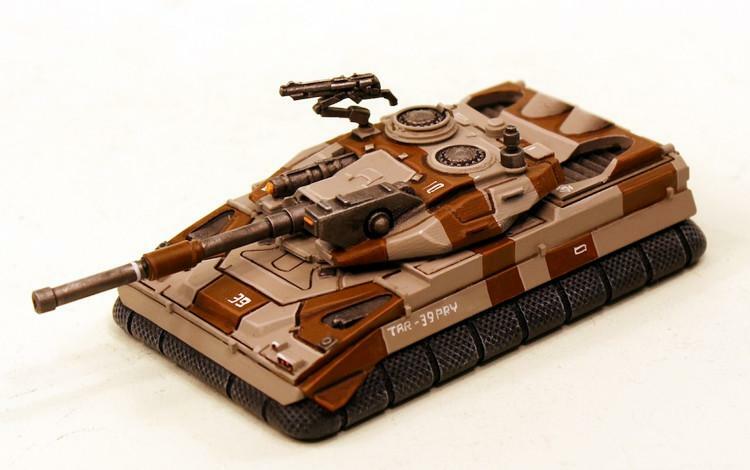 IAF100C Taranis Tracked MBT Energy Turret. 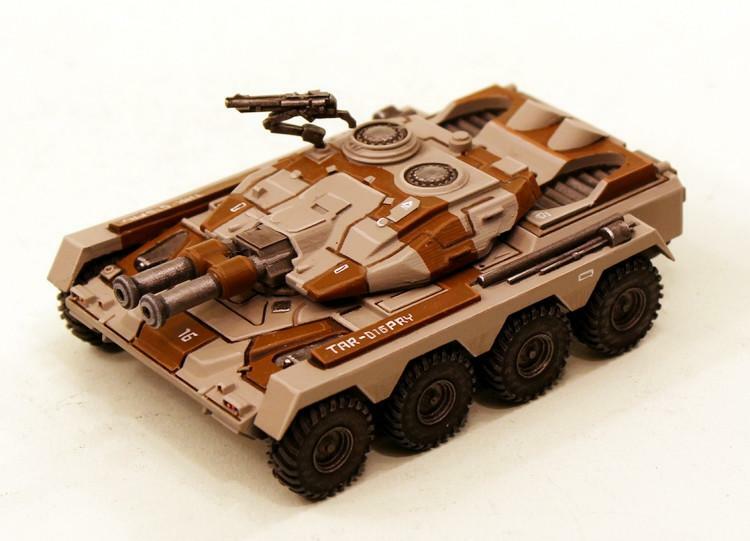 IAF100D Taranis Tracked MBT Siege Turret. IAF100F Taranis Tracked MBT Laser Turret. IAF100G Taranis Tracked MBT Missile Turret. Wheeled Taranis are typically composed of seven resin and white metal pieces which are the upper hull, the lower hull, right and left wheel sections, turret as well as the sponson gun in white metal. 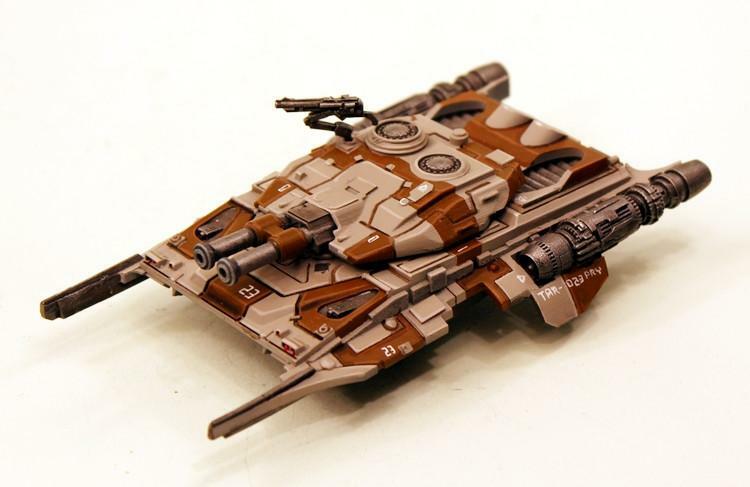 It is easy to assemble and is designed to be used for wargaming and thus it is very durable. 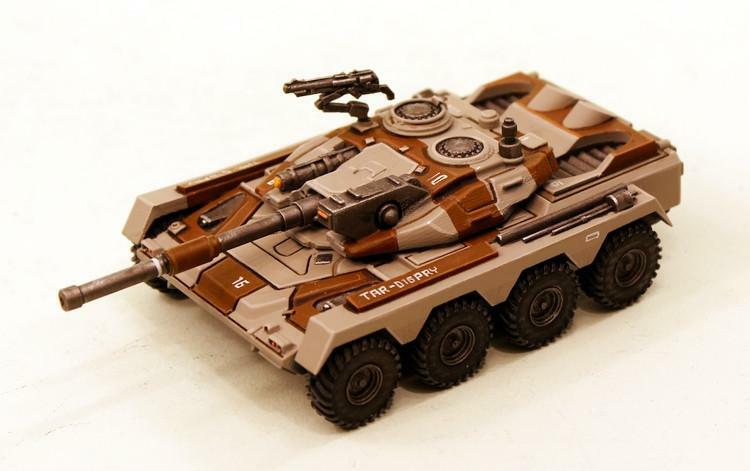 Assembled theses vehicle are just over 90mm long and 50mm wide making it a fast heavy main battle tank in any 15mm scale force. 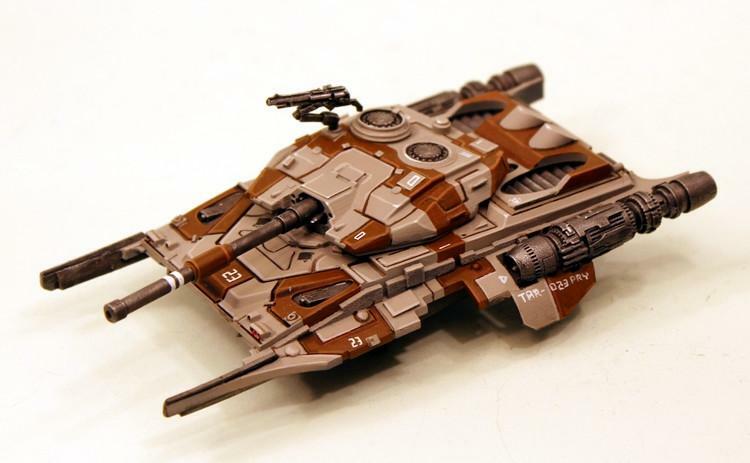 Read on our BLOG about wheeled Taranis. IAF101A Taranis Wheeled MBT Cannon Turret. IAF101B Taranis Wheeled MBT Command Turret. 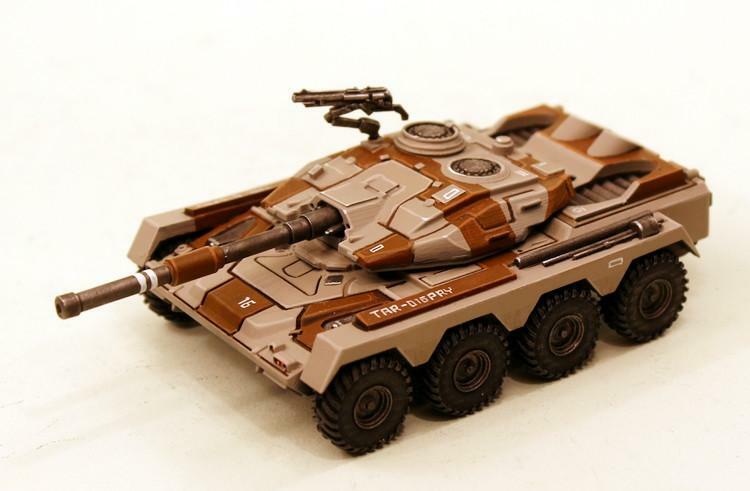 IAF101C Taranis Wheeled MBT Energy Turret. IAF101D Taranis Wheeled MBT Siege Turret. 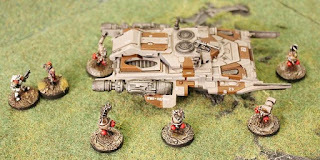 Repulsar Taranis are typically composed of seven resin and white metal pieces which are the upper hull, the lower hull, right and left engine sections, turret as well as the sponson gun in white metal. It is easy to assemble and is designed to be used for wargaming and thus it is very durable. 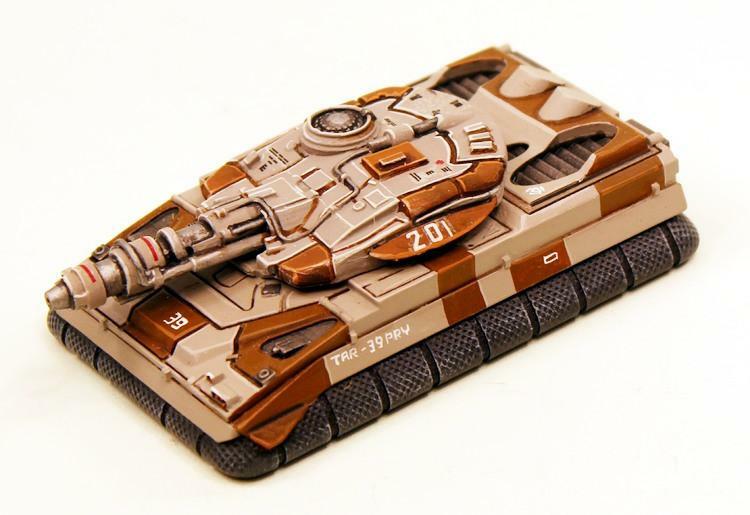 Assembled theses vehicle are just over 110mm long and 55mm wide making it a sleek futuristic heavy main battle tank in any 15mm scale force. 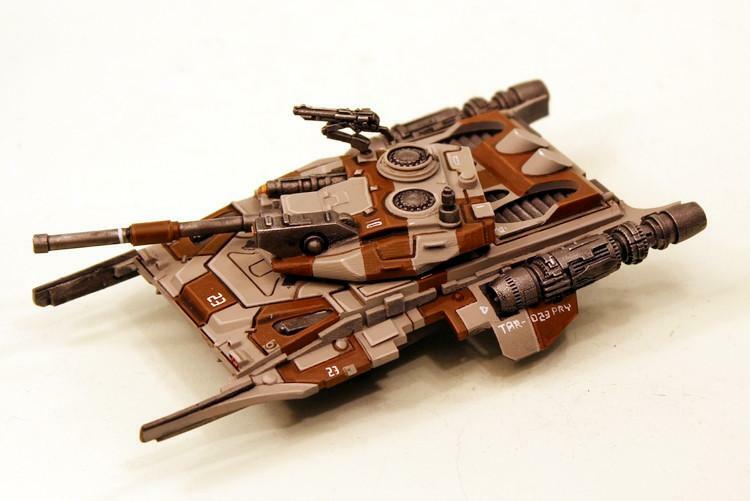 Read on our BLOG about repulsar Taranis. 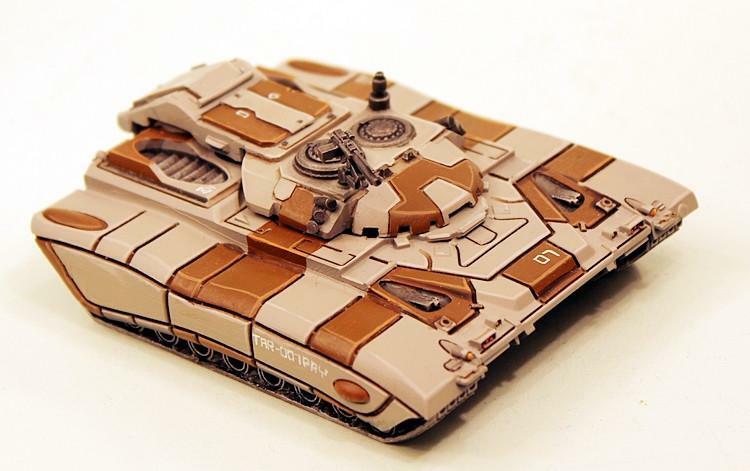 IAF103A Taranis Repulsar MBT Cannon Turret. 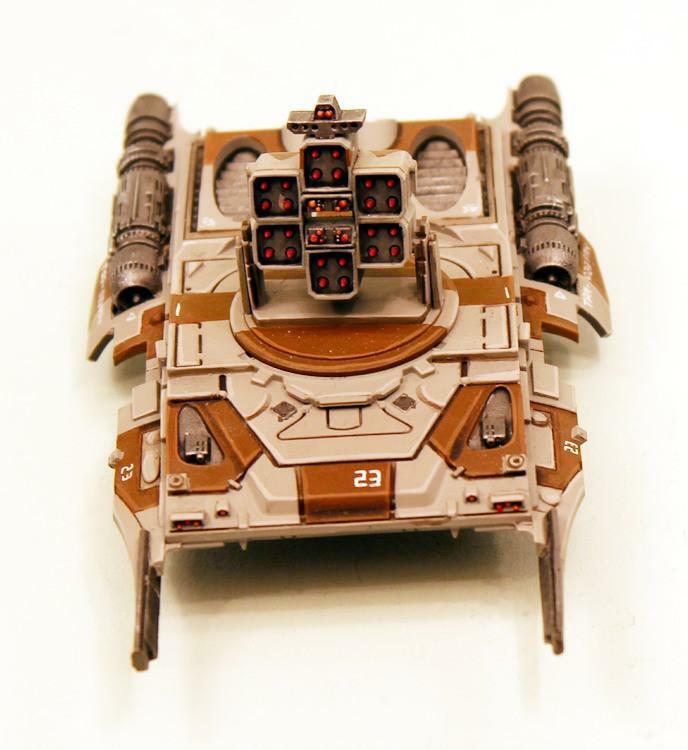 IAF103B Taranis Repulsar MBT Command Turret. 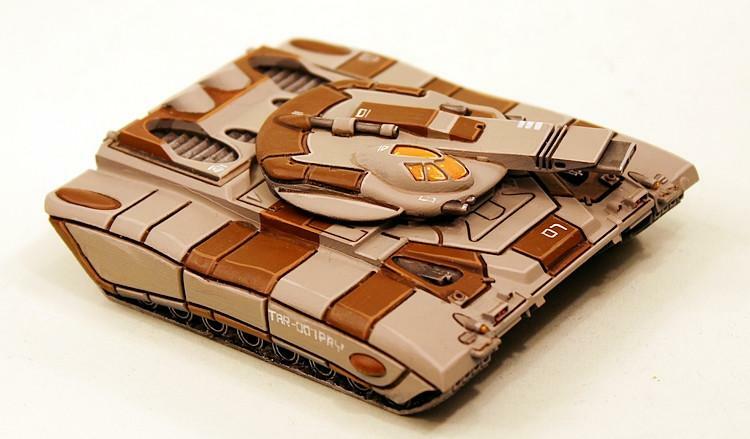 IAF103C Taranis Repulsar MBT Energy Turret. 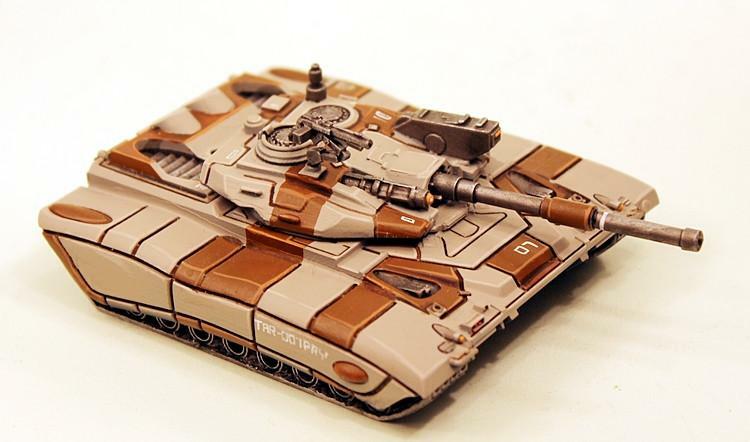 IAF103D Taranis Repulsar MBT Siege Turret. IAF103F Taranis Repulsar MBT Laser Turret. 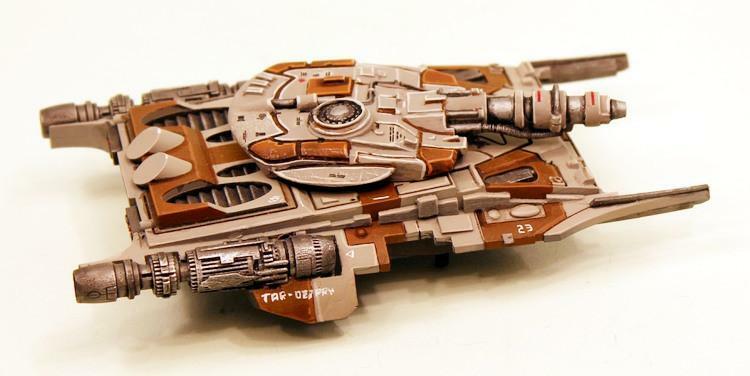 IAF103G Taranis Repulsar MBT Missile Turret. 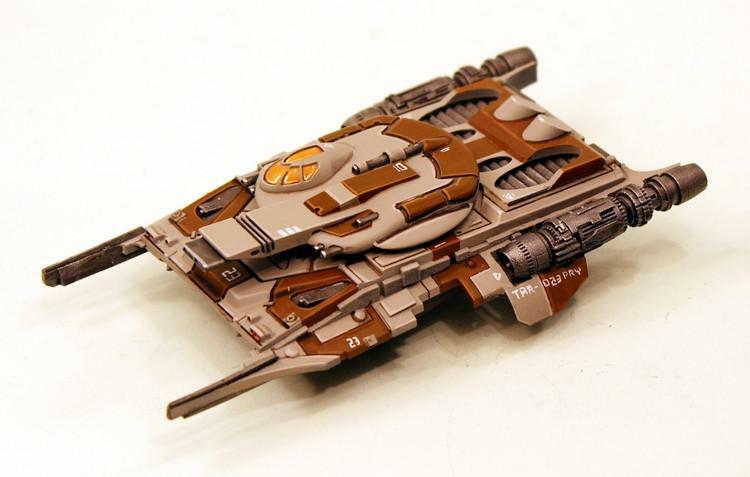 Hover or Lifter Taranis are typically composed of four or five resin and white metal pieces which are the upper hull, the skirt tray, turret as well as the sponson gun in white metal. 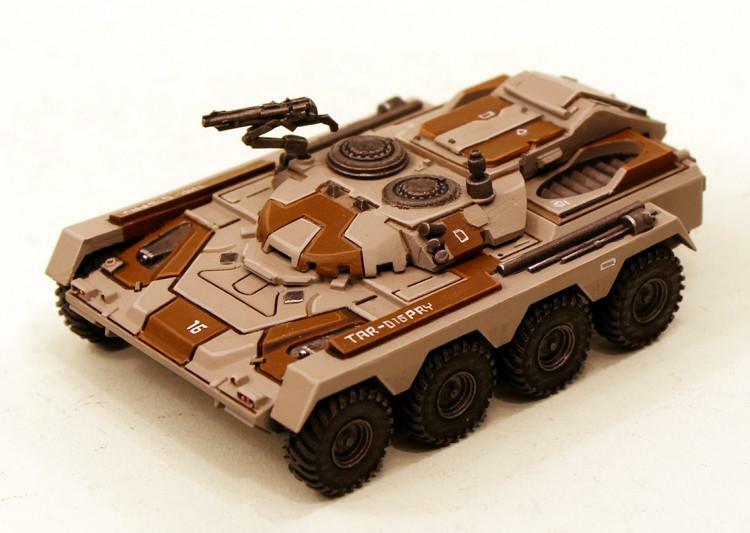 It is easy to assemble and is designed to be used for wargaming and thus it is very durable. 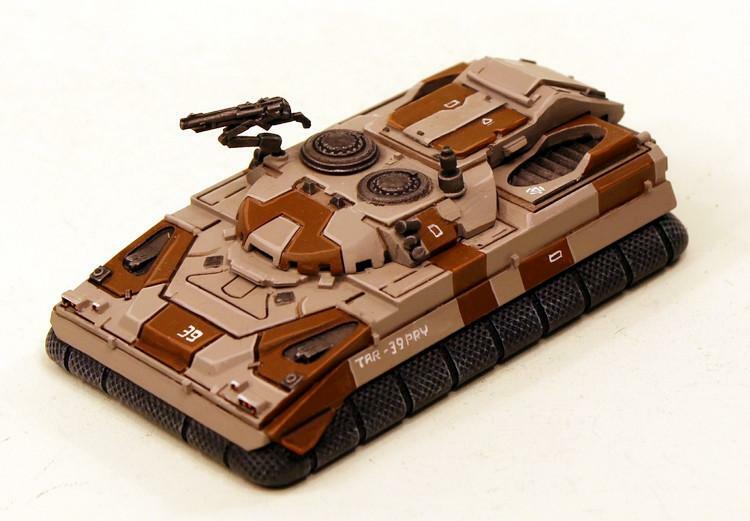 Assembled theses vehicle are just over 90mm long and 55mm wide making it an imposing heavy main battle tank in any 15mm scale force. Read on our BLOG about Lifter Taranis. IAF102A Taranis Lifter MBT Cannon Turret. IAF102B Taranis Lifter MBT Command Turret. 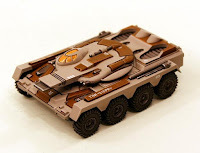 IAF102C Taranis Lifter MBT Energy Turret. 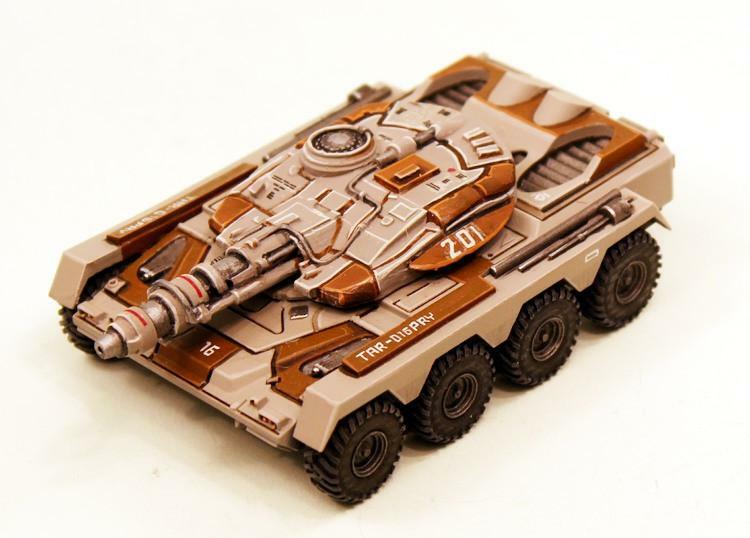 IAF102D Taranis Lifter MBT Siege Turret. 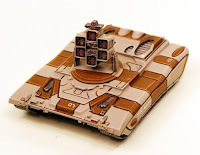 IAF102F Taranis Lifter MBT Laser Turret. IAF102G Taranis Lifter MBT Missile Turret.